*** NO CHAIN***IDEAL 1ST TIME BUYER OR INVESTOR***Osborne Estates is pleased to offer for sale this attractively priced three bedroom property. This property is situated in Gilfach Goch with easy access to local amenities and transport links to include the A4119 link road to Talbot Green retail park and junction 34 M4 an early viewing of this attractively priced property is highly recommended. 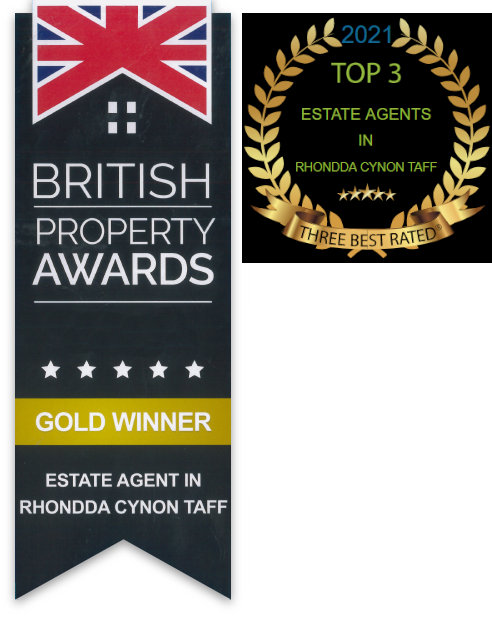 Osborne Estate Agents are pleased to offer for sale this mid terraced three storey property, located in a quiet location of Penygraig. The property consists of a lounge, sitting room on the lower ground floor, kitchen, bathroom, three bedrooms and rear gardens and gas central heating. The property is realistically priced to appeal to a first time buyer or investor. This property is ideally located to all local amenities and transport links. **NO ONWARD CHAIN** Osborne Estates are pleased to offer for sale this three bedrooms property situated on main road location in the village of Treherbert. This property is priced to be of interest to 1st buyer/ investor. Osborne Estates are pleased to present this three bedroom property located near to Tonypandy town, rail and bus links. The accommodation briefly comprises: Entrance hall, lounge, kitchen and family bathroom to the ground floor. To the first floor there are three bedrooms. To the rear of the property there is a larger than average garden with open views. The property further benefits from PVCU double glazing and gas central heating. Osborne Estates are pleased to present this three bedroom property located near to Tonypandy town, rail and bus links. The accommodation briefly comprises: Entrance hall, lounge, kitchen and family bathroom to the ground floor. To the first floor there are three bedrooms. To the rear of the property there is a fully enclosed garden with access to a garage that is need of repair. The property further benefits from PVCU double glazing and gas central heating. Osborne Estates Present to the market this three bedroom property located in Wattstown with PVCu double glazed and gas central heating. Countryside views surrounding so viewing on this property is highly recommended. Osborne Estates offer to the market this stone built traditional terraced property close to train station and situated on the popular North Road, Porth. The property offers easy access to the town centre and amenities. Ideally suited to first time buyers or investors alike, the property offers entrance porch, generous sized living room, fitted kitchen, two bedrooms and first floor bathroom. Rear garden offers a raised timber decked terrace, ideal for entertaining. **STONE BUILT TRADITIONAL TERRACE HOME * TWO BEDROOMS* GOOD ACCESS TO RAIL STATION ** Osborne Estates are delighted to present to the market this mid terrace home situated in Porth. The property is close to local shops and amenities. Ideally suited to first time buyers, the property offers accommodation including entrance porch, generous sized living room, sitting room to through kitchen, bathroom, two bedrooms. Osborne Estates are pleased to offer to the market this lovely mid terraced property with forecourt garden to front situated on the main road close to local amenities and transport links to include railway station making the commute easier. Comprising of entrance hallway, sitting room, lounge, kitchen. First floor comprises of bathroom, two bedrooms. low maintenance rear garden with lane access. ***OFFERS OVER £69995***THREE BEDROOMS *** A very well presented terraced property situated in the popular residential area of Ystrad, conveniently located close to the road links to the A4119 and close to RAIL station and local shops, schools and other amenities to include leisure centre. The accommodation briefly comprises, hall through lounge and kitchen, shower room to the ground floor. To the first floor are three good size bedrooms. ,To the rear is a good sized garden set on two levels. this property is perfect for an investment opportunity! Don't miss out! Call us now!